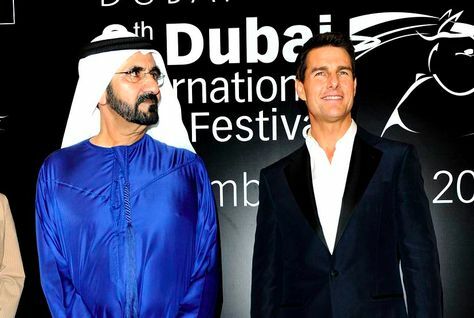 Tom Cruise with Sheikh Mohammed bin Rashid Al Maktoum. . Wallpaper and background images in the Tom Cruise club. This Tom Cruise photo might contain saman perniagaan and sut perniagaan. Tom Cruise & Katie Holmes: tarikh Night in Miami! Tom Cruise & Katie Holmes: Katy Perry konsert Date! Tom at the VERY bahagian, atas of the Burj Khalifa!! WOW! !